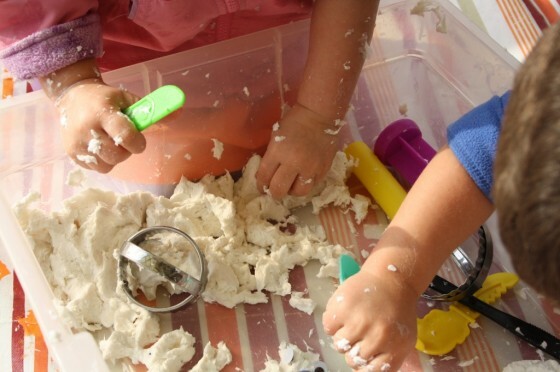 Make a batch of clean mud for a fun sensory activity for toddlers and preschoolers. 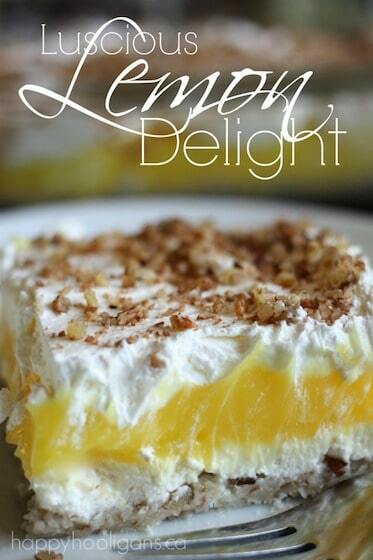 It feels great, smells great, and takes just two ingredients! 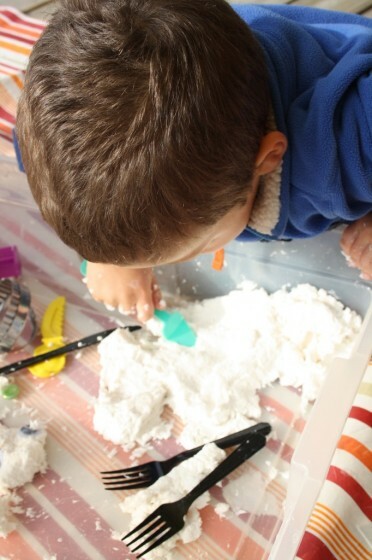 Clean mud is a wonderful sensory substance made with toilet paper, ivory soap and water. It’s also known as ghost mud. It’s wonderfully soft and squishy and it smells so good the kids can’t keep their hands out of it. 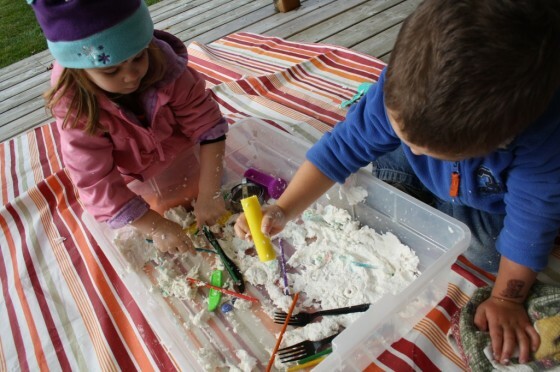 What a terrific sensory experience for little ones – especially for kids who don’t like to get their hands dirty playing in real mud. Clean Mud was the perfect thing to make today. 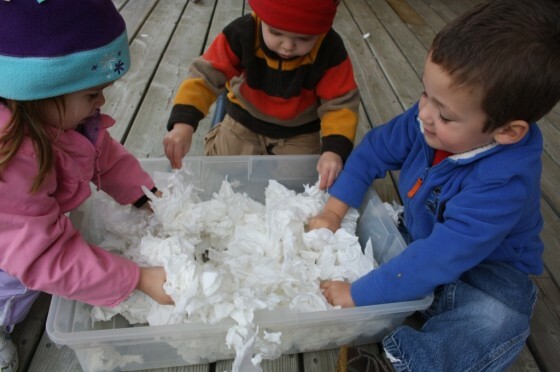 The kids love this sensory substance, and it was mild enough outside that they could play with it comfortably. They love making it with me because the process is a whole lot of fun, and they can help from start to finish. Even better, they love playing with it, squeezing and molding it, feeling it ooze between their fingers, and smelling the fresh scent of the Ivory soap as they play. 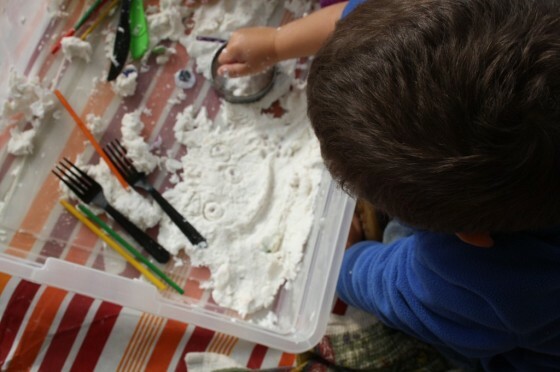 If you haven’t made clean mud with your kids yet, you really must! Let me show you how! Grate a bar of Ivory soap and add it to about 1 cup of hot water. Stir it around a few times until it’s melty and mushy. Now, just pile all that t.p. 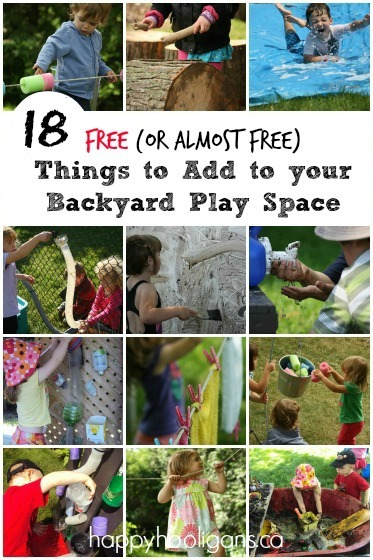 into a large bin or basin, and have the kiddos rip it into a million pieces. 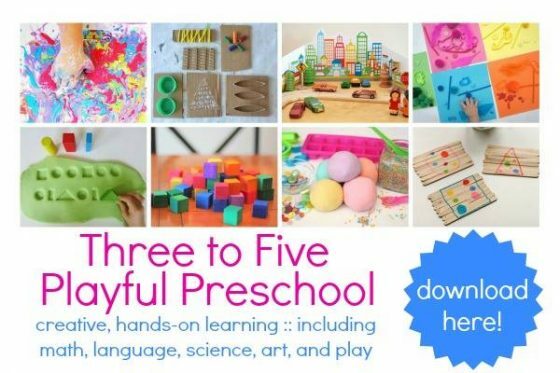 How fun is this activity? And we haven’t even gotten to the “mud” part yet! 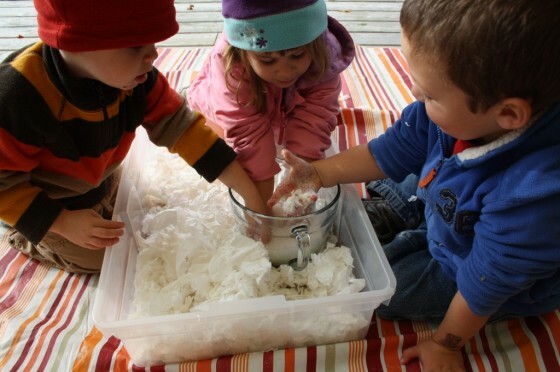 Once your toilet paper has been shredded, pour the soapy water into the basin and start mushing and mashing everything all together with your hands. It feels good, and smells great, and you wind up with this awesome slippery, silky, moldable “dough”. I’m not sure if ours turned out exactly as it should have. I’ve heard others say it should have the consistency of cool whip. I don’t believe ours ever did. 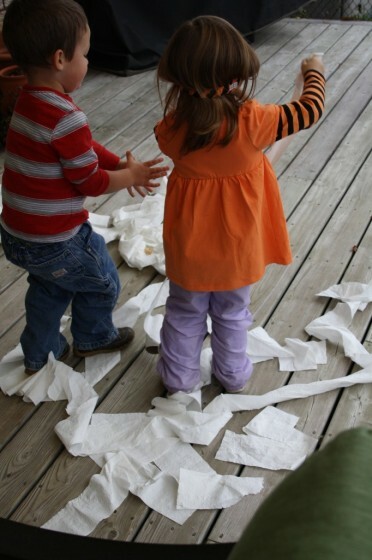 It was pulpier than that, but maybe we didn’t rip our toilet paper up enough. You know what though? It totally didn’t matter. 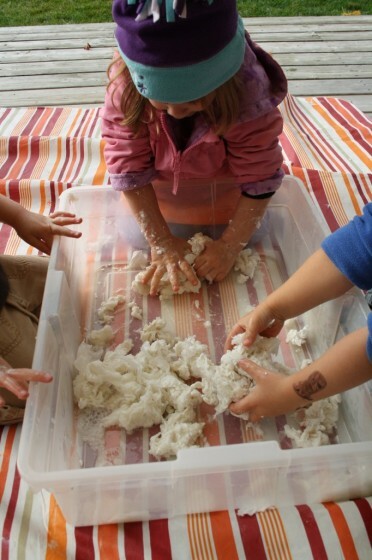 What an awesome morning of sensory play for the toddlers and preschoolers today! How long does clean mud last? Even though clean mud is made with soap, clean mud doesn’t last for long. We wrapped ours in plastic wrap, hoping we could keep it for another day but within a couple of days, there was fuzzy mold growing on it.I would suggest just having a lot of fun with it the day you make it, and toss it when you’re finished with it. we call this clean mud!! and we love it!!! 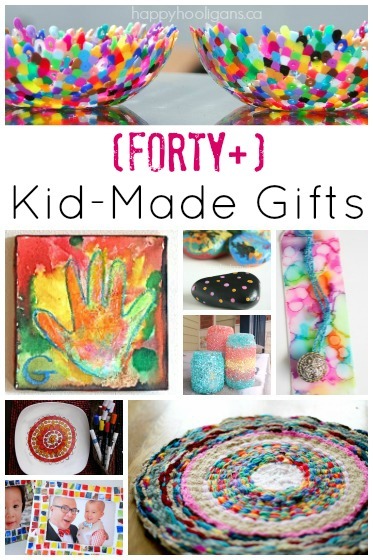 This is one of my favorite sensory activities! So fun! Can this work with liquid ivory soap or does it have to be a soap bar? Would dove body wash work? I don’t know if liquid soap would work, Dassi. I’ve only ever seen recipes that call for grated soap. It doesn’t have to be Ivory, but that’s the recipe that I see most often. I have always called it Clean Mud. 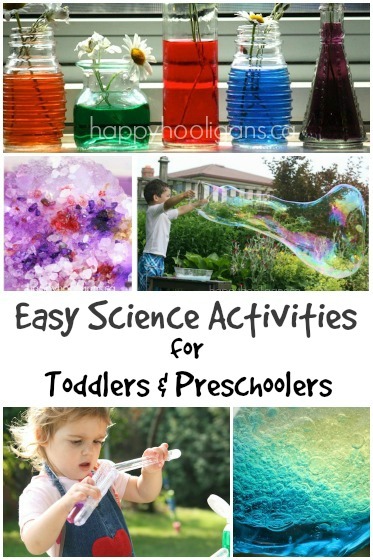 It’s a great activity for kids! One of our favorite activities! I never would have thought to call it ghost mud, how cute! Oh, that’s one I haven’t heard before, Tanya. I often hear it called “clean mud”. Isn’t it wonderful? The boys and I finally got around to making this today. We sat out in the front yard and watched the construction on our street as we made it. The boys were making digger and bulldozer sounds the entire time. Interestingly, my 5 year old enjoyed the entire process and spent a good 1/2 hour “working” the mud, while my 2 year old loved grating the soap and throwing the toilet paper around but NOT the ripping of the toilet paper or the playing with the “mud” – and he’s the “messy” one. How did you store this, if you stored it? Or was it a one-time activity? I’m going to make this at the local Boys and Girls Club and would like to know ahead of time if we can re-use it. Thanks in advance! It’s generally a one-time activity, Ruth. We’ve put ours in a sealed baggy and kept it for a day or two, but it starts to go fuzzy (moldy) after a couple of days.